Mike Francesa’s return to WFAN has been underwhelming, although if you’ll recall what he was doing before he retired for four months, it’s actually in line with the personality of a 60-something radio guy who hates to take direction. The most interesting thing about him right now is a feud he’s started with New York Post reporter Andrew Marchand. In addition to his WFAN show, Francesa has an app. Everybody has apps these days. The future is apps! Mike’s app is free, but requires a subscription at the not-low, low price of $8.99 a month. Buying the app will entitle you to a couple of radio shows hosted by Francesa, separate from his WFAN shows though not scheduled on a regular basis. Would you give up a decent lunch for an extra serving of Mike Francesa’s grumbles and contentious conversations with callers? Back in September, Marchand said on Jimmy Traina’s Sports Illustrated podcast that Francesa would have a tough time making money from the app because he wouldn’t be able to get guests on something that did, for example, 300 downloads. They were discussing how the app was doing and believed that since Francesa wasn’t incessantly bragging about the unknown numbers, they were probably bad. In Francesa’s eyes, Marchand is a threat, because it’s part of his job as a media reporter to figure out just how well the app is really doing. He wants those numbers. Since that podcast discussion, Francesa has apparently stewed on the claim that his app only has 300 subscribers—a claim Marchand didn’t make. 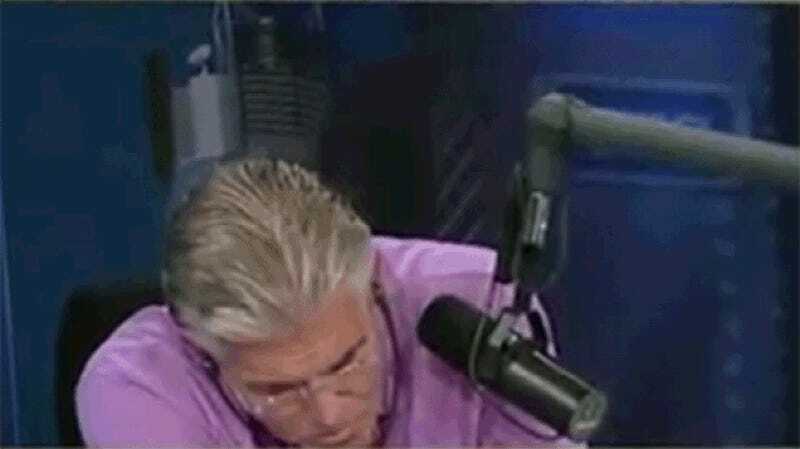 Francesa hasn’t been this energetic in years. He’ll need at least one month and three cases of soda to recharge from this beef.